The top section is instructions for windows users. 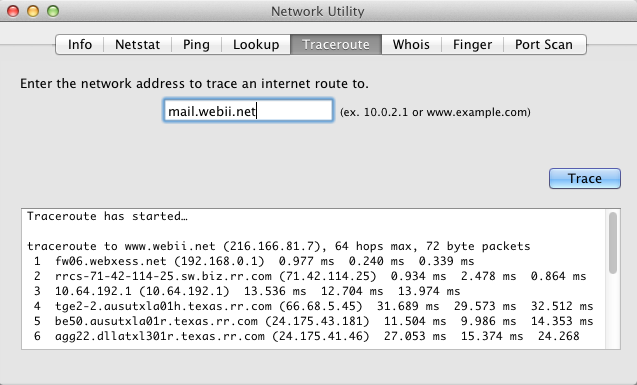 Please scroll down further for Mac OSX instructions on how to perform a traceroute. 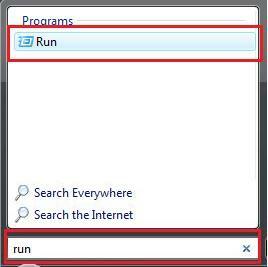 STEP 1: Open your windows start menu and type Run into your search bar. Select the program that is listed at the top. If you’re using an older version of windows, the command prompt can be found in the accessories folder of the start menu. STEP 2: The Run program will open as a pop-up. In the window type in ‘cmd.exe‘ and hit OK. 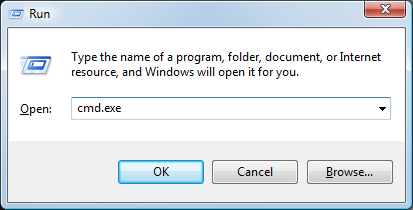 STEP 3: The command prompt will open as a separate window. Type in the address of the server you’re attempting to contact and hit enter. 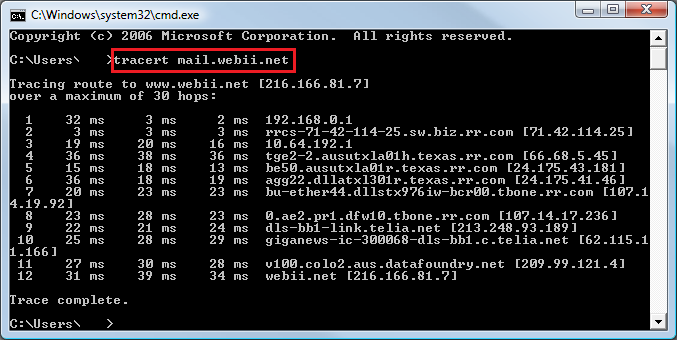 In most cases we will direct you to test mail.webii.net and your respective website IP address which we will provide the information. 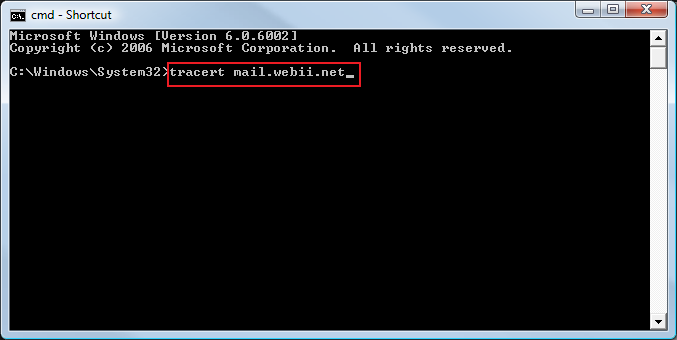 Once the traceroute is complete you will see a series of results similar to those shown below. Right click and Paste the results in your respective correspondence. 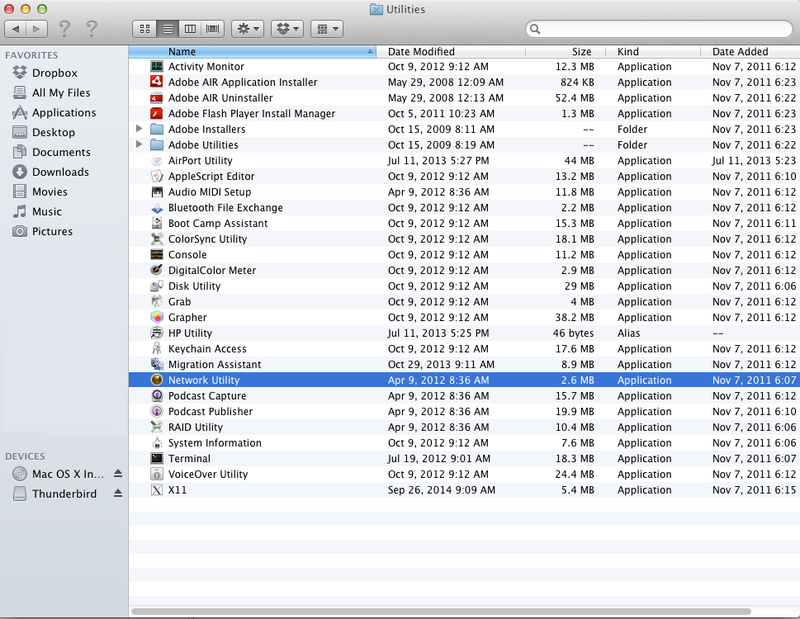 The following section is for Mac OSX users. 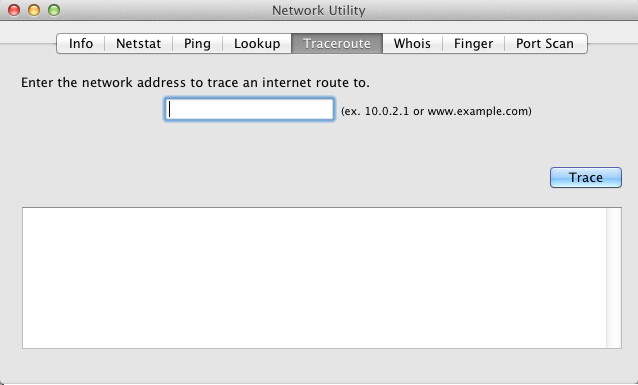 STEP 3:Enter a domain in the ‘Enter the network address…’ field and click ‘Trace‘ to being the traceroute. Once the traceroute is complete you will see results similar to those shown above. Please copy (COMMAND+C) and paste the test results into your respective correspondence.